We don’t believe that the church is just about Sunday meetings. That’s why we like to do things a bit differently. We have different expressions of church life, some of these are on Sundays and some aren’t. 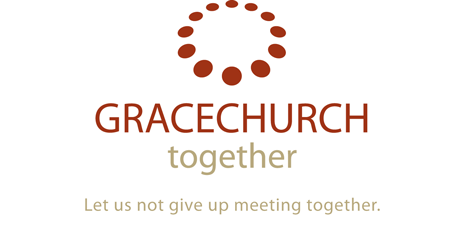 Gracechurch Together is our Sunday meeting. We meet at 3:30pm at Bromsgrove Methodist Centre most Sundays. Gracechurch Kids will run during this time twice a month and we will worship God and learn from the Bible together. Please check the diary page for more details about when and where we’re meeting. Gracechurch Family Together is the same time and the same place, but we stay together as a family to worship God and learn from the Bible in a way that is accessible for all. Serving Together is run once every term on a Saturday or Sunday. We serve our local town in practical ways. We paint, litter pick, garden – you name it and we’ll do it! Gracechurch Sent is a chance for us to hang out with friends and family who don’t yet know Jesus. We know life is busy and we want to make sure we’ve got time for this. But We Had To Party! We just love a reason to celebrate! Twice a year (at least) we have a party – a BBQ in the Summer and a Christmas event in the winter. We invite anyone and everyone along to celebrate with us. There’s always food, fun and lots of laughter.